Courtney Reid's new paintings are thick saturations of color. 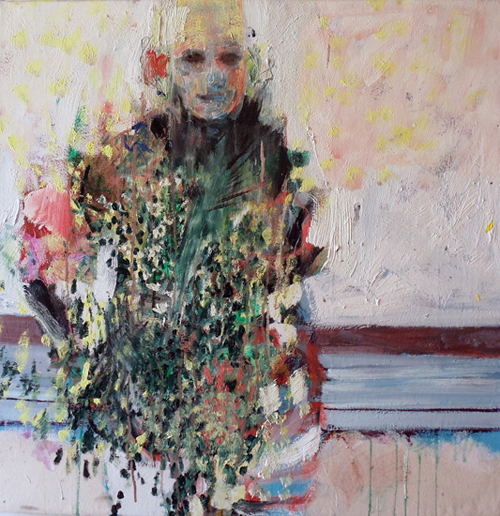 The heavy impasto is an intriguing contrast to the skeletal figures she paints. Half vaporizing these ghostly images are almost frightening with their darkened eyes and mutated limbs. All of the emotive expression is happening outwardly, whereas many abstract painters eliminate the physical form to suggest feelings, memories, and emotions, Reid constructs skin and surface planes that stand for the language of the unseen and intangible. 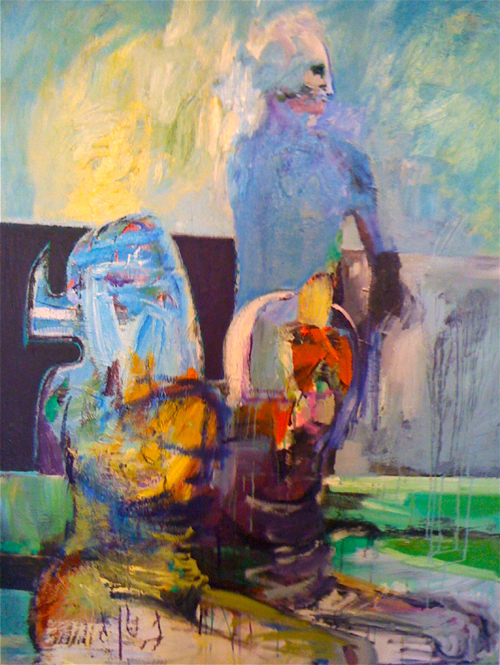 Color as environment assumes a force that merges with figures and landscape. One cannot tell where air and figure begin and end in many instances. The work has a repelling and magnetic draw. 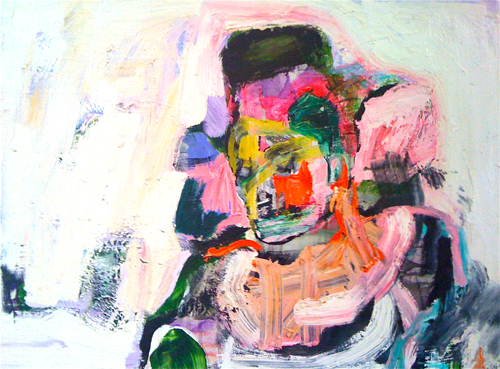 While vacuous eyes look out at you, candied colors beckon, as does the sensuous texture of the paint. Even when it is clear these temporal spirits are in water or near grass, the space they exist feels more like a no man's land than a physical reality. The show runs through November 15 at Bleicher Gallery La Brea.